Trusts consist of trustors, or the people creating the trust, a trustee who manage the assets of the trust, and beneficiaries who are entitled to receive the income generated by and/or the principal contained within the trust. Common disputes that arise with trusts are improper management by the trustee, outright theft by a trustee, or failure of a trustee to make proper distributions to beneficiaries. 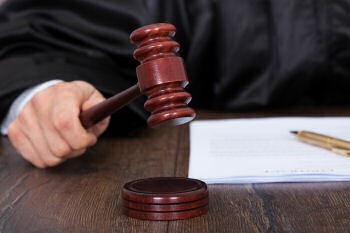 Depending upon the severity of violation, the first step is to petition the court to remove the current trustee and appoint a substitute trustee. Secondly, depending again upon the nature of the violation, damages can be sought against the trustee for failing to properly execute their duties or stealing trust income or assets. At the Law Offices of Benjamin E. Golden, PLLC, we have handled litigation involving trustees' breaches of fiduciary duties and stand ready to fight for you. Contact us now at (210) 802-9377 for a free consultation to discuss your trust dispute. Click below for further information on related issues. I need to make a trust. I need to make a will. My loved one passed away, and there is a will. My loved one passed away, and there is no will, or I cannot find the will. I want to contest a will or the distribution under a will or of an intestate estate. Important: Please note that no attorney-client relationship is established until a representation agreement is signed.